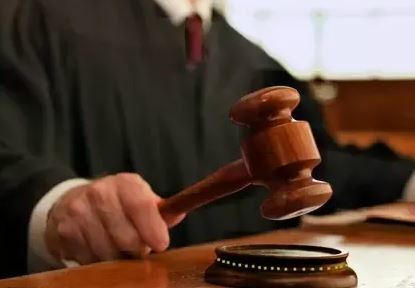 SACRAMENTO, Calif. (CN) – Approving a measure meant to keep federal immigration agents out of California’s courtrooms, the Legislature on Thursday passed a bill that protects a person’s immigration status in court proceedings. Inspired by reports of Immigration and Customs Enforcement agents detaining undocumented people following open court hearings, Senate Bill 785 prohibits the disclosure of litigant and witness immigration statuses without a judge’s consent. Supporters hope the bill will freeze courthouse immigration raids and encourage immigrants to testify in criminal and civil cases. The pro-immigrant measure cleared both statehouses with bipartisan support. Passed as an urgency measure, Gov. Jerry Brown will have 10 days to sign or veto SB 785 once it reaches his desk and if signed, the legislation takes effect immediately. California judges and district attorneys have pushed back on ICE’s courthouse tactics under the Trump administration. Last year, California Supreme Court Chief Justice Tani Cantil-Sakauye warned ICE to stay out of California courts. “Courthouses should not be used as bait in the necessary enforcement of our country’s immigration laws,” she said in a letter to U.S. Attorney General Jeff Sessions. Under SB 785, attorneys can only disclose evidence about a person’s immigration status in open court with a judge’s approval. The requesting attorney would have to present the evidence to the presiding judge during an in camera hearing. Additionally, attorneys would be barred from voluntarily revealing clients’ immigration status during public court hearings. San Francisco District Attorney George Gascon and the Coalition for Humane Immigrant Rights sponsored Wiener’s legislation. Backers are holding a rally Friday in San Francisco to urge Brown to sign SB 785. Gascon applauded the overwhelming bipartisan support for the bill. The measure was passed by the Assembly on a 67-1 vote and 31-6 in the state Senate. The bill will sunset on Jan. 1, 2022.